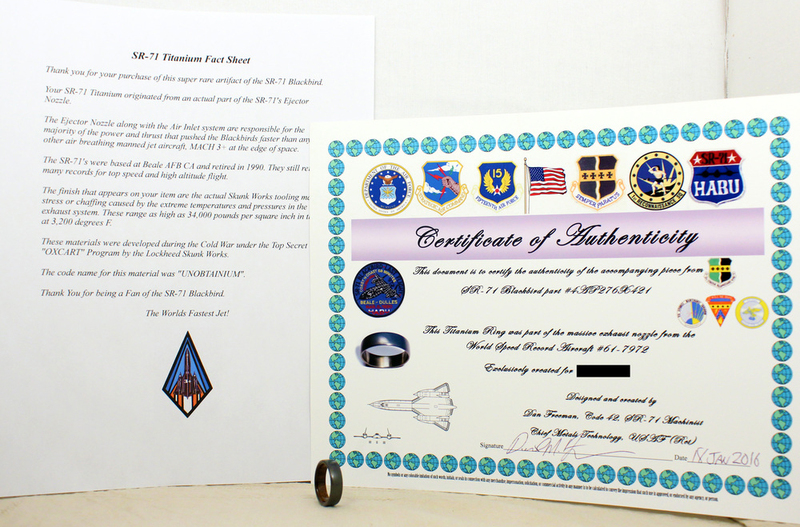 I’ve never been a huge fan of wearing jewelry but Wedgewood Rings might be on to something, offering a custom ring made from an actual Lockheed SR-71 Blackbird spy plane. Specifically, the outer band of the ring is titanium from the ejector nozzle of a Blackbird, meaning the material the ring is comprised of once flew at mach 3.2+. 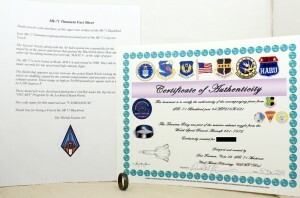 This particular ring came about thanks to retired Air Force machinist named Dan Freeman, who sourced the metal from one of the spy planes he repaired and maintained years ago. 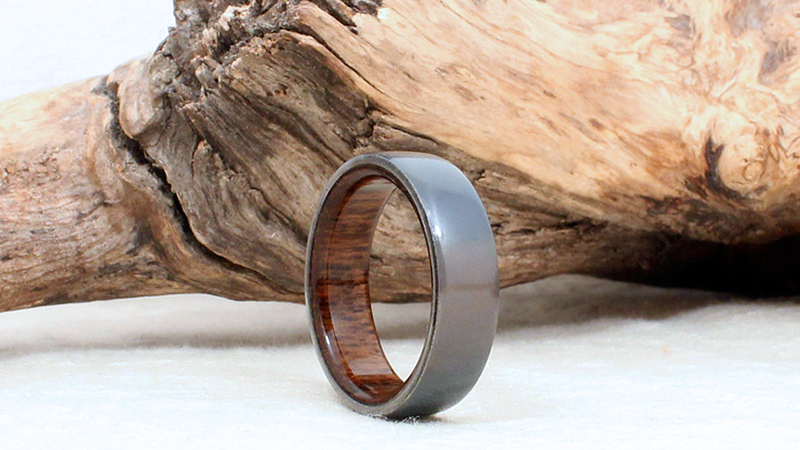 While the titanium outer band certainly comes from a unique place, the inner wood portion of the ring is just as interesting. It’s made from teak that was reclaimed from the deck of the USS North Carolina which served in every Pacific naval battle in World War II. Check out the Wedgewood Rings website for more information.